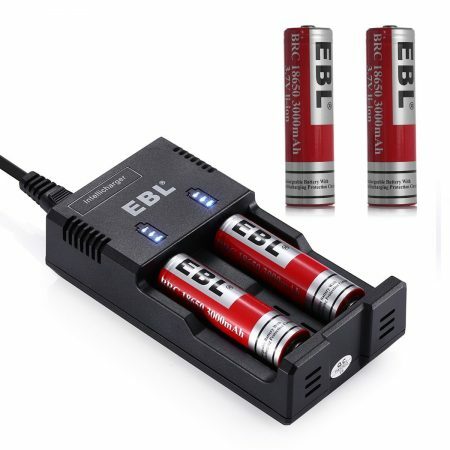 Low Self Discharge Rate: The high-performance rechargeable AA batteries have marginal self discharge effect through years of storage. 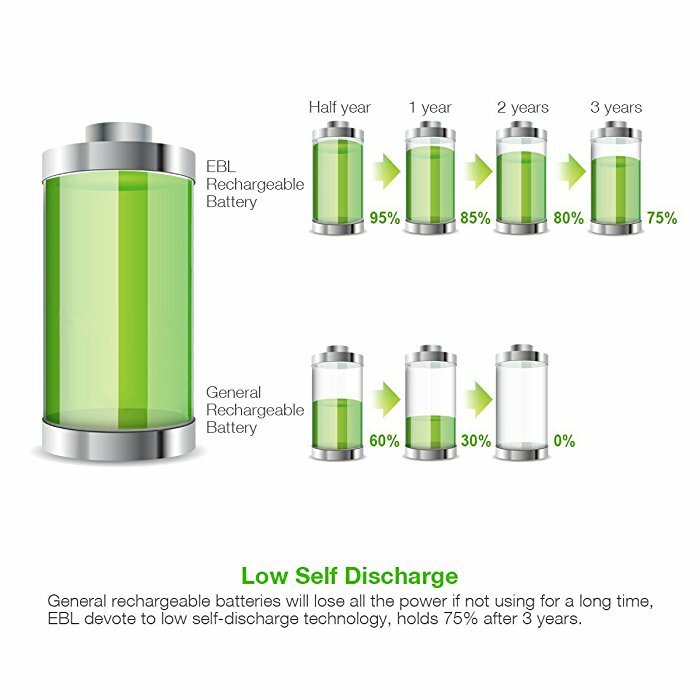 The batteries can keep up to 80% capacity for over 2 years not in use. 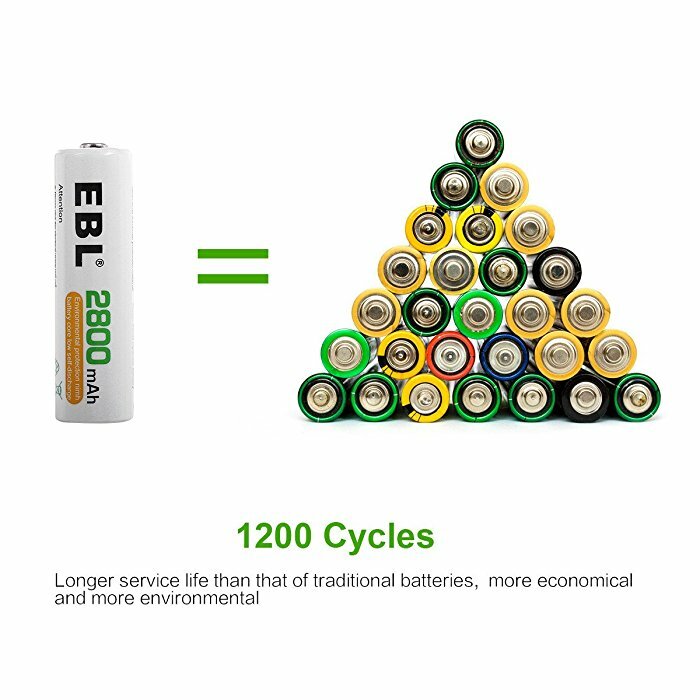 Great Battery Longevity: The highly efficient Ni-MH AA rechargeable batteries have high quality with up to 1200 recharge cycles. 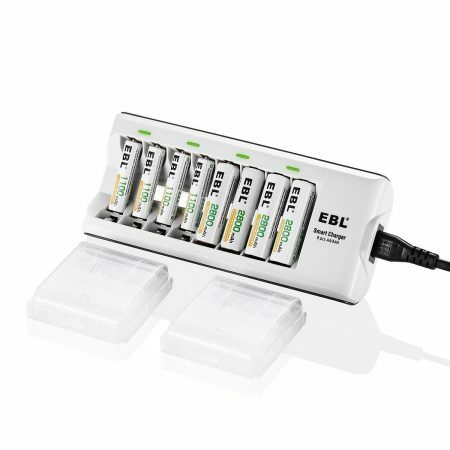 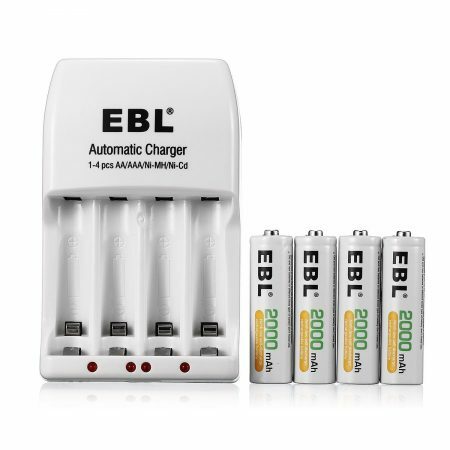 High Capacity: The rechargeable AA batteries have real capacity up to 2800mAh for your high drain devices. 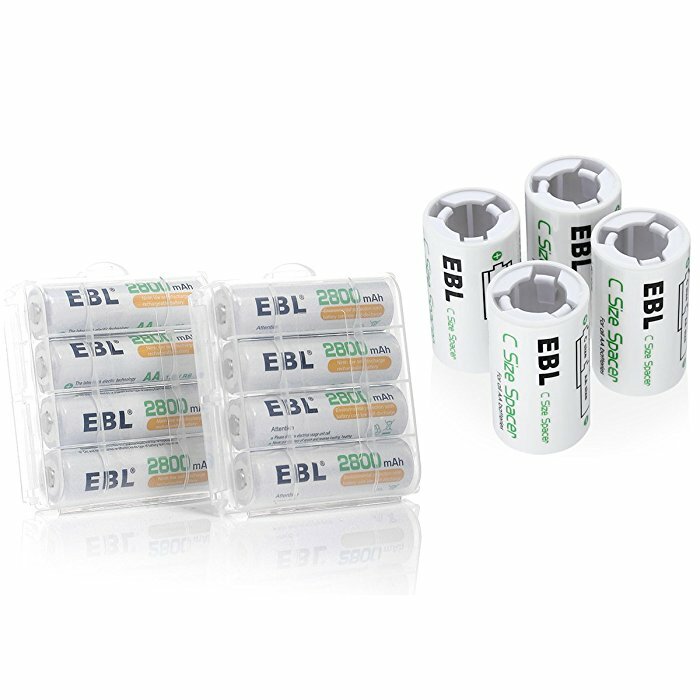 Safe Rechargeable Batteries: The batteries are absolutely safe and environmentally friendly without Cd, Hd or Pb. 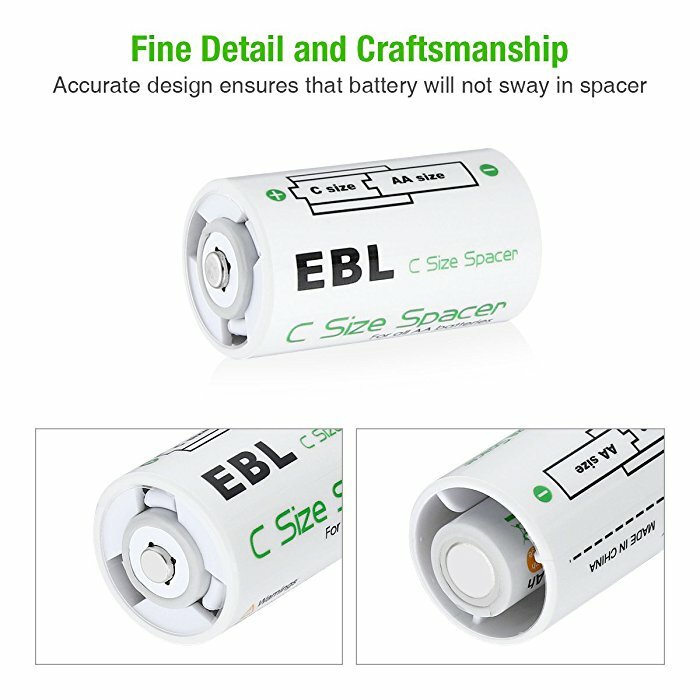 This C size battery spacer is designed for AA batteries to become a C battery cell. 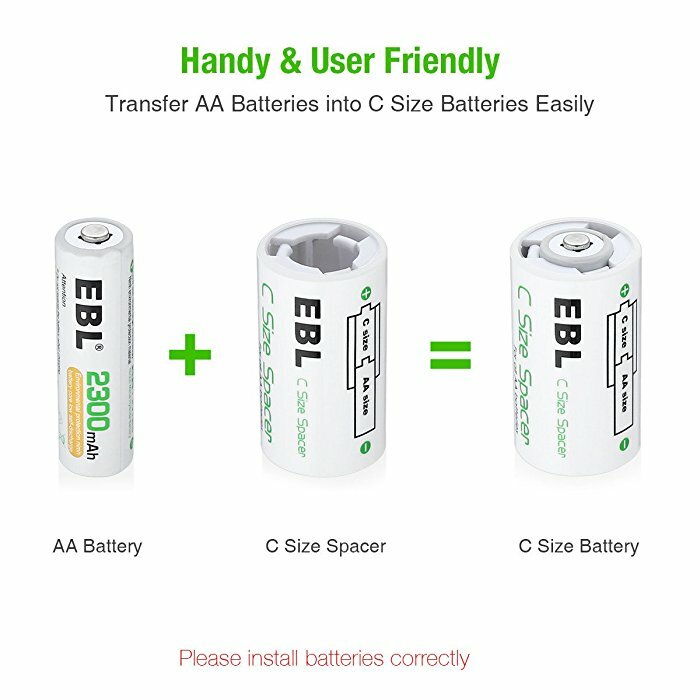 The spacer is well built to perfectly fit an AA battery. 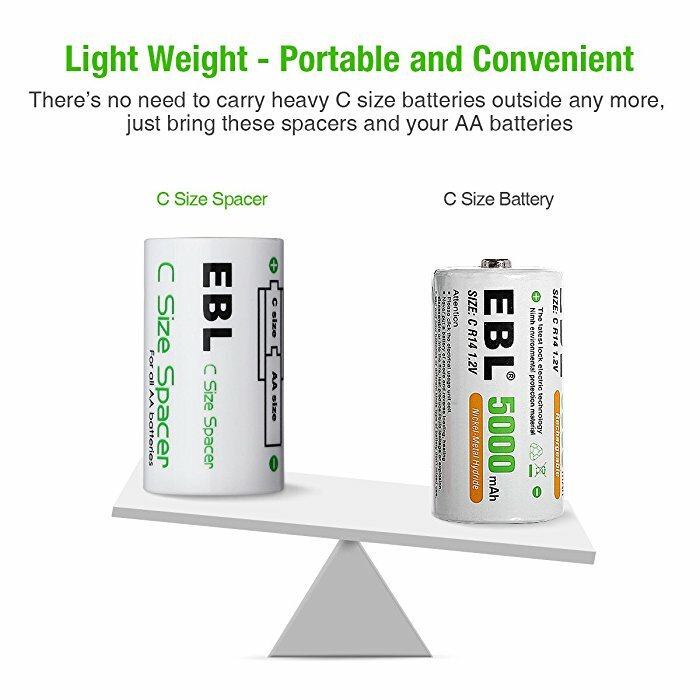 The C spacer is able to turn an AA battery into a C cell for use instantly. 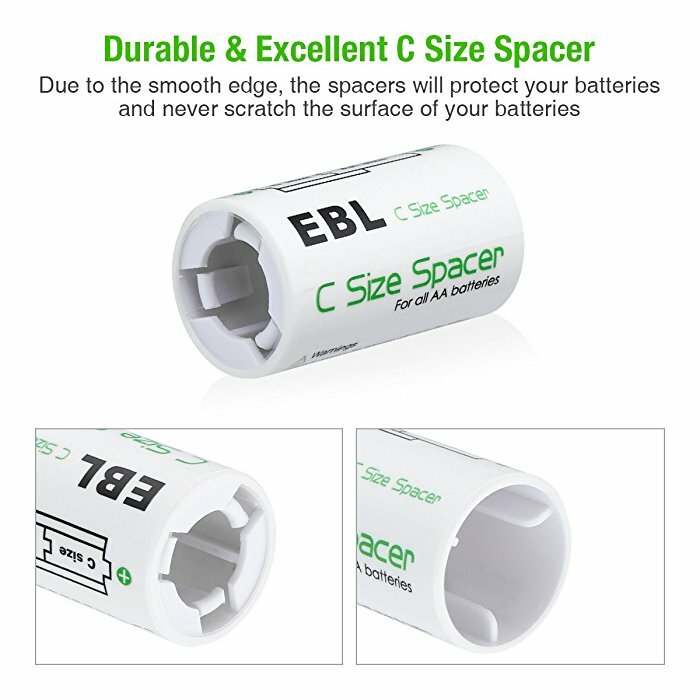 Made of high quality ABS material, the C spacer is sturdy and durable. 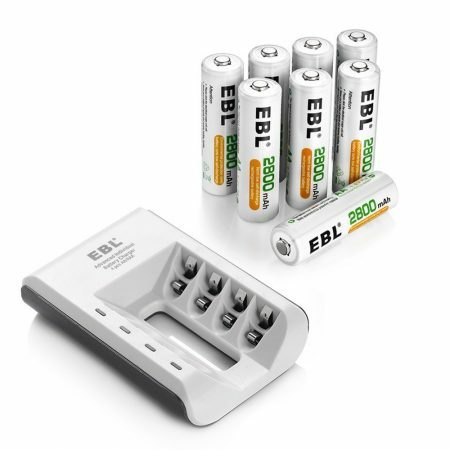 It can transform AA battery and in the meantime, protect them from any possible damage. The eco-friendly spacer works for most types of AA batteries, like Ni-MH, Ni-CD and alkaline.